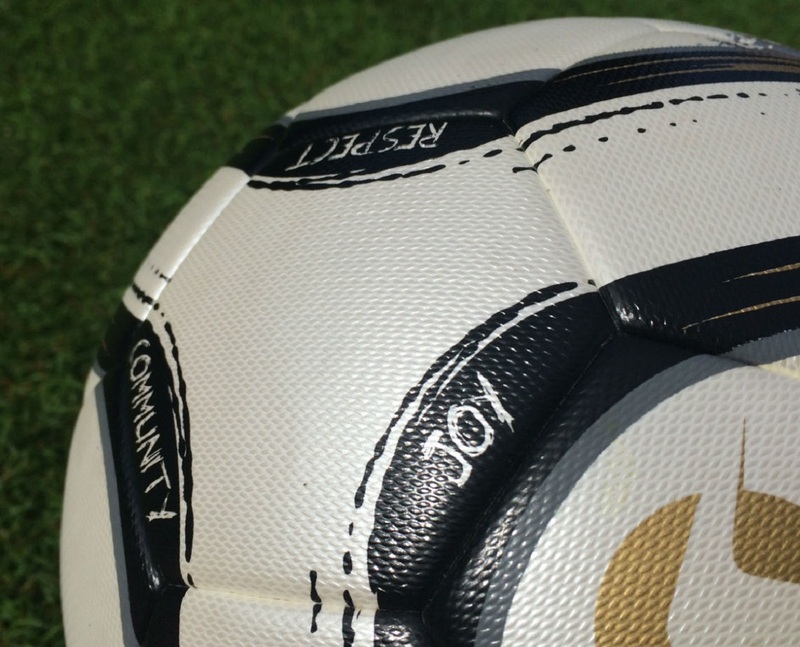 Home / Soccer Ball / Senda Volta Premier Soccer Ball – How Does It Perform? Most of you will be familiar with the Senda brand at this point, a brand that is disrupting the industry by embracing Fair Trade, bringing back craftsmanship, promoting joyfully playing, and improving lives along the way. There latest top range ball, the Volta Premier, has been part of my training set for the last few months. It’s off-white color with signature gold detailing really stands out, and it is one of the first players I coach will grab to use. 32 panel design, each panel is made with 1.1 mm micro-texture premium synthetic leather. Thermally bonded for premier performance and no water absorption. Features 4 layers of polyester/cotton hybrid linings placed between the cover and the bladder to help with ball retention. Intended for use on FG and turf surfaces. All Senda balls are Fair Trade Certified, ensuring all workers receive at least the national minimum wage, that there is no child labor involved and that the health and safety of workers is safeguarded. From my experience it is a very solid ball. The casing is actually very comparable to what you find on the Nike Ordem series, it has that special micro-texturing that allows for additional grip on your foot. Senda has left nothing to chance with the performance of this ball. One thing I’ve learned about them is that they don’t cut corners and their goal is to revolutionize what consumers can purchase. The Volta premier is an example of a ball that offers quality ping when striking hard shots, while offering a dampened feel as you look to control passes. I’d recommend it as a complete match ball to players that are on the market for something different. 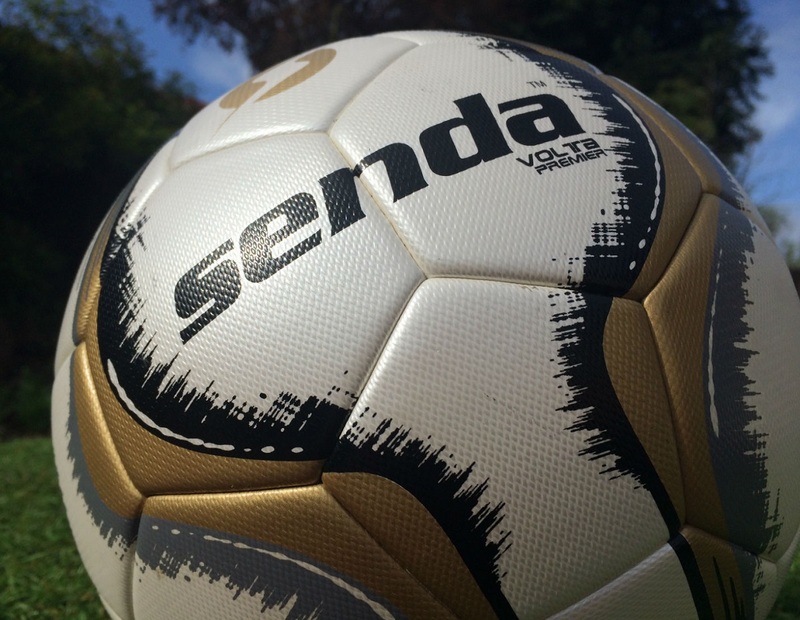 Senda’s biggest challenge with this ball (and in general) is trying to persuade the market that they can compete with top brands like Nike, adidas and Select. 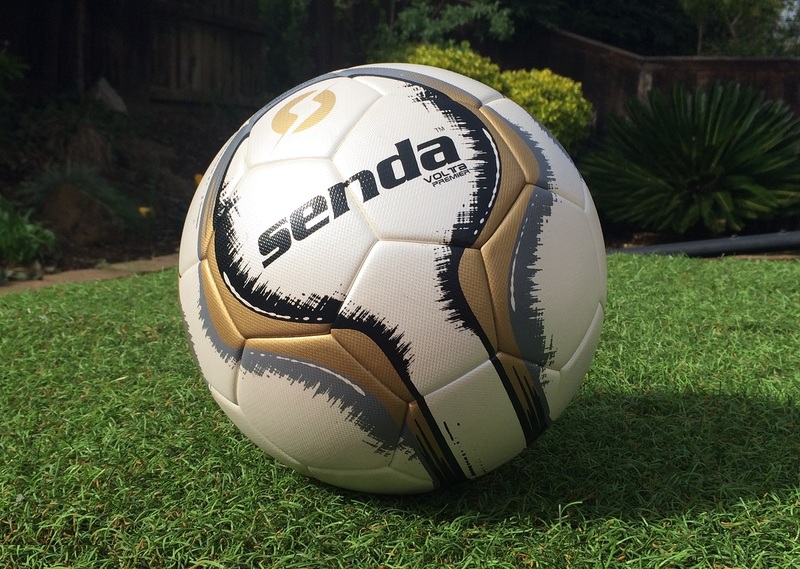 In reality, as a consumer I would likely jump on a brand name ball if it was priced at the same point as a Senda ball. It is a tough challenge educating the market about what you have on offer when you are not a known brand. BUT, I can assure you that this is a quality ball and it offers value. From first hand experience, it gets my recommendation. Then there is, of course, the bonus of being Fair Trade certified – something the big brands can’t bring to the table! You can find the Volta Premier directly on the sendaathletics.com website, or you can also get one from soccer.com. I know this ball! Very nice! !